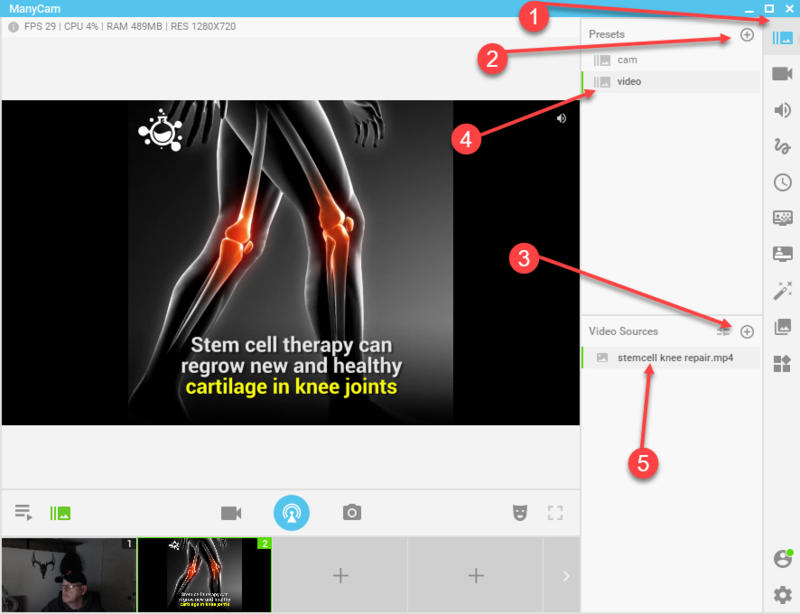 How to play a video within easywebinar. This is for advanced users who want ability to play videos within their live event. Keep in mind this is a 3rd party tool and as of the time of making this article and shown within video it is working. This will take testing of your own and troubleshooting within the knowledge base training of the manycam tool.. We will help as much as we can but if you are facing technical issues it would be something their support needs to know. 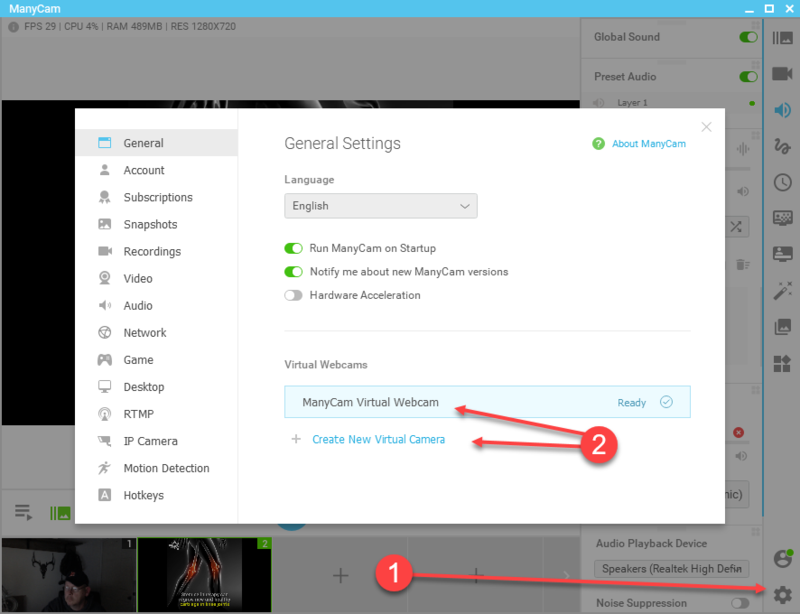 Ok so first off we need to get a virtual cam set up as this is what you select inside EW live event as your cam source.. You will still use your mic within EW but not within manycam.. #1 go to settings, then #2 create a new virtual cam if not already done for you. Next we need to create scenes or presets as they are called in manycam. #1 click on presets, then within there you will click on the plus icon (+) #2.. You can name each preset as you wish. For this example I have added a cam and video presets. After you name the preset you can add it's source #3 like your cam under the cam preset, for this video preset we added a video from our computer and it started to play. Then by clicking inside the video it paused it.. Your Audio tab #1 holds the key to be heard when playing the video.. You have your settings at top that need to be on. You need to add in the audio device source #2.. To be able to hear the video yourself to know when it is done so you can transition back #3 is where you select your speakers or headset.. To control your video volume is done by #4.